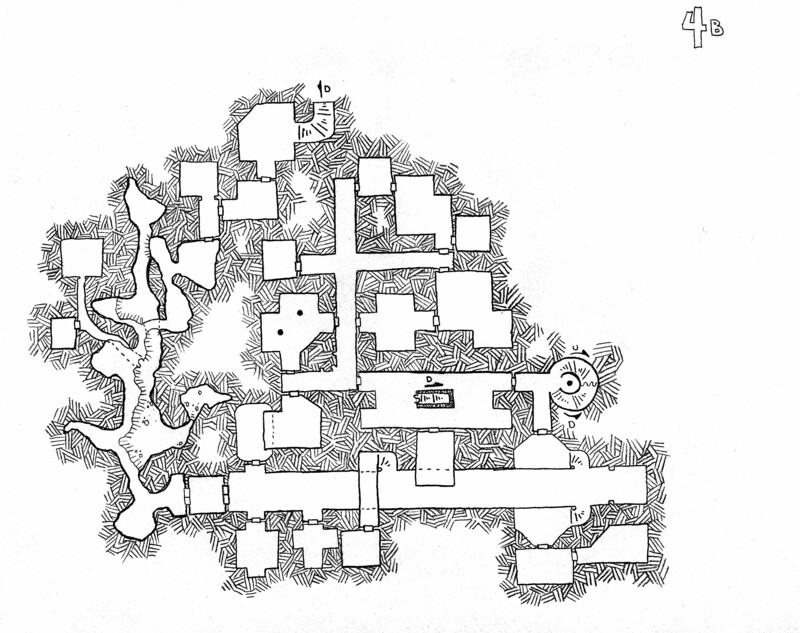 Once more into the megadungeon of Darkling Depths, with two maps detailing level 4 of these sprawling subterranean constructions. As we head deeper into the Darkling Depths, construction becomes more sparse as the rocks become harder and access to the surface less easy. Map 4A epitomizes this sparseness. 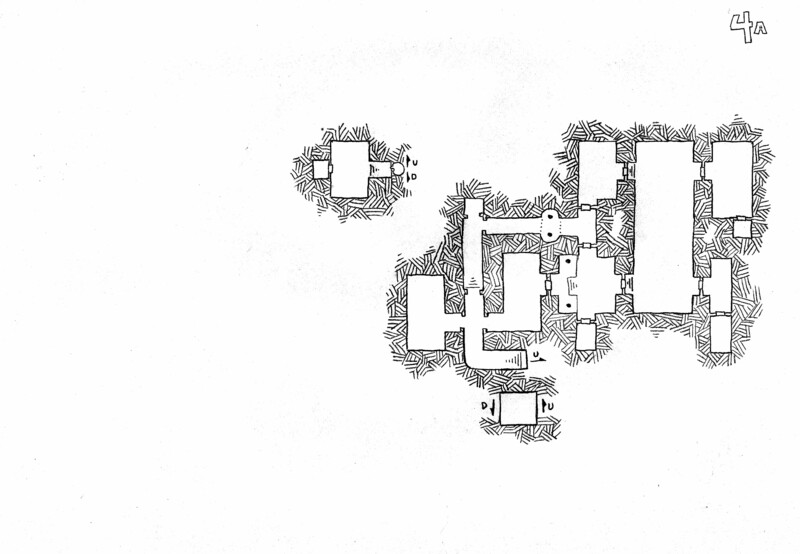 It consists of two areas linked to Map 3A, one secret room along the well shaft from the town above (which continues on to map 5A), and the other a small set of rooms and chambers with no further links to other areas of the dungeon. Map 4B on the other hand provides a variety of means of accessing deeper parts of the Darkling Depths. From a single massive spiral staircase that leads back to Map 3B and continues down to 5B, there are a number of other staircases that also lead to areas of map 5B from here. What kind of pen do you use to do the maps? normally I use a 0.7mm Gel Pen for the vast majority of my work, with some done with a 0.5mm. However, the Lost Mpas series (including this one) were drawn in pencil (typical HB or #2 pencil, the kind you sharpen by hand instead of mechanical). Thanks. I want to try and see if I can do something similar. These maps are the best I’ve ever seen. 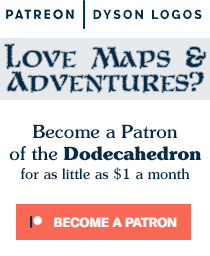 Has any publisher commissioned you to do maps? Yours are far better than the ones I see in commercial products.